Here are 5 classic movies featuring truckers and (often action-packed) life on the road, some so bad that they’re good. 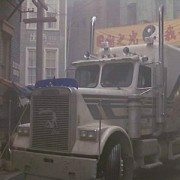 This irreverent 1986 Comedy features Kurt Russell as a trucker who helps rescue his friend’s ﬁancé from the Chinatown underworld in San Francisco. Crazy action scenes, hilariously bad Kurt Russell one-liners, and one of the wildest trucker protagonists in a feature film. Patrick Swayze is an ex-con who takes a new job driving long-haul. What he doesn’t know is that his truck is filled with illegal weapons, leading to a fight to survive and save his family in this 1998 action extravaganza. In this 1975 action flick starring Jan-Michael Vincent and a cast of little-known actors, Carrol Jo Hummer borrows money to buy a truck after returning from a stint in the Air Force. He’s hoping to make enough money hauling produce to marry Jerri Kane and set up housekeeping. In the world of White Line Fever, he discovers that his long-haul business is run by racketeers and decides to fight the corrupt forces that control the trucking business. Burt Reynolds, The Bandit, is hired on the run a tractor trailer full of beer over county lines, only to find himself in hot pursuit by a pesky sheriff. Sylvester Stallone plays Lincoln Hawk, a struggling trucker who arm wrestles on the side to make extra cash while trying to rebuild his life. After the death of his wife, he tries to make amends with his son who he left behind 10 years earlier. Hawk enters the World Arm Wrestling Championships in Las Vegas hoping is to receive the grand prize of $100,000 and an expensive current custom semi-truck and thus start his own trucking company. 1. You can make excellent money. A husband and wife can drive double the amount of time as a single person in one day, as long as one rests while the other is behind the wheel. With double the miles driven, one of the primary reasons couples team up to drive is the monetary incentive. 2. Husband and wife trucking works best when both people enjoy the work. 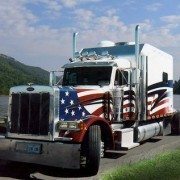 Team trucking might be a bad idea if one person doesn’t enjoy driving or the experience of a career in trucking. It’s best to be on the same page with the skill involved, shared responsibilities, and avoiding back-seat driving. Keep in mind that you will be together 24/7, you have to both enjoy the work. 3. Spend time planning what you’ll pack and what you don’t need. Sleepers do not offer a ton of storage. It’s best to pack light in both clothing, food, and personal items. You won’t have a walk-in closet; planning and packing appropriately for long-hauls allows you to relieve the stress of an over-crowded sleeper. Organize well and make sure that all items are in their proper place. Are you interested in teaming up with your significant other to drive? Contact us at 773.736.5522 to learn more.